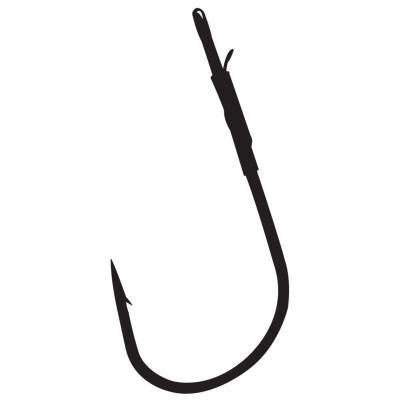 Gamakatsu Heavy Cover Worm Hooks with Wire Keeper - 5/0 Black, Loose Packs. An ideal hook to fight the biggest fish in the heaviest cover that features a rock-solid welded eye and an improved, smaller wire keeper. Black. Loose pack of 4. Assorted sizes available.